NEW YORK (AP) The United States Tennis Association will honor Althea Gibson with a statue at the U.S. Open. The first African-American to win the U.S. Nationals singles title in 1957 will be commemorated at the USTA Billie Jean King National Tennis Center. The U.S. Nationals were the precursor to the U.S. Open. 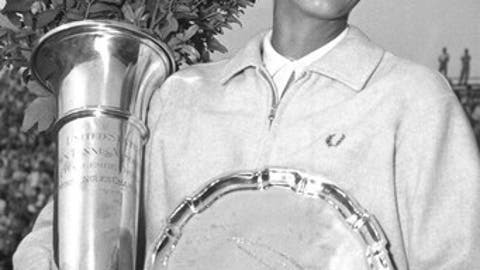 She won both the U.S. Nationals and Wimbledon titles in 1957 and 1958. A statue of Arthur Ashe was unveiled at the U.S. Open in 2000. The USTA has not yet selected a sculptor for the statue of Gibson, who died in 2003 at age 76.